Romantic dinners overlooking the Atlantic, dancing into the morning hours or playing the slot machines – an Atlantic City vacation revels in its myriad pleasures. Book an Atlantic City hotel and join the fun. From sandy beaches to decadent casino hotels, the New Jersey seaside city has no shortage of attractions to draw in visitors. A wholesome holiday hotspot by day and a glitzy party playground at night, every generation will discover what makes them tick. Whether you’re here for a royal flush, an indulgent spa retreat, or simply to have your fill of fun, the New “Joisey” favorite has got you covered. The glitzy beachfront metropolis that is Atlantic City boasts a thriving nightlife that caters to the most lavish tastes. Try your luck at one of the classic Art Deco-style casinos, and go wild at a thumping dance club. There are also plenty of sleek cocktail bars for a supremely sophisticated evening. 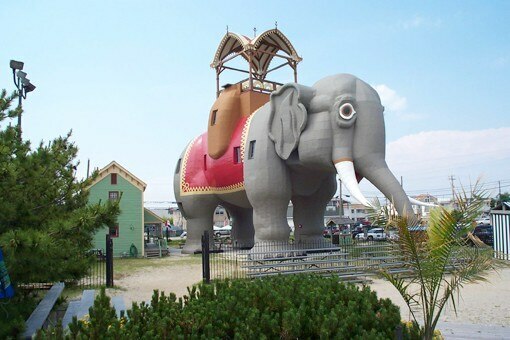 While Atlantic City is famed for its decadent casinos and thriving nightlife, there are plenty of fun attractions and activities for the whole family to enjoy. Whether you’re after retro arcades, head-spinning theme parks, or a touch of fascinating history, Atlantic City has you covered. Atlantic City isn’t just about flashy casinos and bouncing bars - behind the shimmering boardwalk lights you’ll discover fascinating heritage museums, historic landmarks, and brash performing arts centers. Whether you're gazing at fine paintings or catching a ballet, there’s something in Atlantic City to satisfy every culture-fiend. The East Coast’s gaming capital has always been about fun, from its heyday as a seaside resort to its current spot as a glitzy slot machine-filled center for gambling, nightlife, and decadence. Shopping in Atlantic City is no different. From glamorous high-end malls to outlet stores offering designer discounts, there’s plenty of opportunity to splash the cash. New Jersey locals love to hit Atlantic City’s shops, as clothing and shoes are tax-free here. Sunny morning strolls on the boardwalk, ritzy and glitzy evenings in the casinos: Atlantic City is a cosmopolitan blend of wholesome family leisure and nighttime entertainment. With beaches, piers and funfairs to boot, the city provides you with all the ingredients for a quintessential seaside holiday. From grand casino hotels in the city’s luminous core to colonial style charm in the Atlantic County area, digs come suited to every taste and budget. Atlantic City is a large, glittery seafront city that sings with round-the-clock urban energy. There are seemingly endless lavish attractions for the indulgent holiday maker - from vast casinos to plush cocktail bars. But culture-lovers will also find plenty of interest here too, in the city’s inspiring museums, arts centers, and historic landmarks. For those that simply want to relax, look no further than the sweeping, soft-sanded beachfront.